Jessica joined the Chartered Financial Services team in September 2017. Her responsibilities are to maintain the company website, all social media, E-Relationship, handle customer service requests and take care of any special projects the company may have. 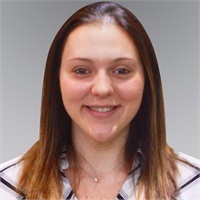 Jessica has worked in the automotive industry the majority of her working career managing a busy, fast-paced and growing collision repair shop in the Ironbound section of Newark, NJ so her familiarity with insurance companies has been a tremendous help. Jessica graduated from Kean University in May 2013, earning her degree in Communications Studies. She is a first-generation American, both of her parents were born and raised in Spain and came to the United States as teenagers. Jessica is fluent in Spanish, Portuguese and Gallego and enjoys visiting Spain as often as she can. Jessica and her husband Rich recently bought a house and moved to Warren, New Jersey. She enjoys sports, cars and spending time with family and friends. When she is not working, she enjoys traveling, trying new foods, listening to music and watching movies.